It is of great sadness to report that Dr. John Lane Roberson, 86, of Taylorsville, NC passed away on Friday, November 2, 2018 at Gordon Hospice House in Statesville, NC. He was born October 18, 1932 in Buncombe County, the oldest son of the late John Roberson and Julia May Worley Roberson. Dr. Roberson was a US Naval veteran, who served during the Korean conflict and a member of New Salem Presbyterian Church in Stony Point, NC. He was a former member of Dogwood Acres Presbyterian Church in Asheboro, NC. He spent some childhood years in Marshall, NC in Madison County. Some of his elementary years were spent going to school on the “Island” on the French Broad River. He graduated from Taylorsville High School in 1950, received his Bachelor's degree in Electrical Technology from the University of Houston and received his Masters and PhD in Occupational and Industrial Education from NC State University. He worked for Randolph Community College for 32 years. He was among the first instructors and taught for one year. He also worked as Evening Director. Most of his years he worked as the Dean of Student Services until his retirement in 1995. He received the first Ray Jefferies award for Outstanding Service by the North Carolina Community College Student Development Personnel Association in 1998. He received an Appreciation award in 1984 for being past President of the North Carolina Student Development Personnel Association. He received an Appreciation award in 1982 for being past Chairman of the North Carolina Deans Division of Student Services Personnel Association. He received a Distinguished Award in 1984 for Administrator of the year by Randolph Technical College. He also served on several State Accreditation Teams. Dr. Roberson took over his father's apple orchard located on Silas Deal Road upon his father’s death. He started a family owned business of growing apples that were sold to grocery stores, farmers markets and local residents. Dr. Roberson had a gift for meeting people and enjoyed telling stories of his childhood and life experiences to his family and friends. 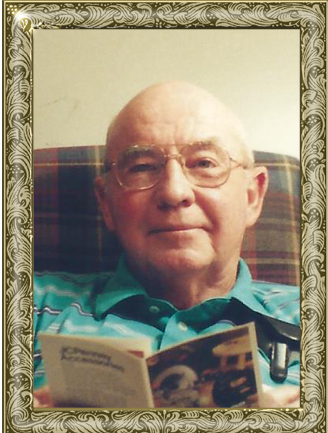 He loved wood working and had passion for reading where he could consume a handful of novels over a weekend. Those left to cherish and honor his memory include: his bride of 61 ½ years, the former Marjorie Payne of the home; a daughter, Jamie Marlana Griffin of Taylorsville; three sons, Michael Wayne Roberson of Taylorsville, Todd Roberson and wife, Daphne, of High Point, Joey Lane Roberson and wife, Reagina, of Asheboro; grandchildren, Cortland Roberson, Khloe Roberson, John Roberson and Steven Roberson; step-grandchildren, Christina Rizos, Kathryn Gray and husband, Daniel; step-great-grandchildren, Dallas Gray and Brazen Rizos; brother, Paul Maurice Roberson and wife, Anne, of Charlotte; nephew, Kenneth Roberson and wife, Ingrid, of Munich, Germany. A Celebration of Life Service will be held at 3 p.m., Wednesday, November 7, 2018 at New Salem Presbyterian Church, 4415 Old Mountain Road, Stony Point, NC 28678. Revs. Curtis White, Steven Dagenhart and Speaker George Holleman will officiate. Burial will follow in the church cemetery with full military honors accorded by Navy Honor Guard and DAV Chapter 84 of Taylorsville and 6 of Hudson. Memorials may be made to: Gordon Hospice House or Alexander County Public Library, or New Salem Presbyterian Church Memorial Fund. Adams Funeral Home and cremation services is honored to be serving the Roberson Family.